You can save over £600 by getting this instead of a Honda CBF125 - but should you? KYMCO is a confusing company. On the one hand, it couldn’t organise a press conference at the recent Milan motorcycle show. A senior executive made a smiling presentation that nobody could hear a word of, leaving everyone in complete ignorance of the firm’s new models. On the other, it builds scooters which are good enough to make the Japanese competition look over-priced. Kawasaki’s J300 is a rebranded Kymco. Which side of the Taiwanese firm should we expect to see in this budget 125 that shares its name with an eau de toilette? The side that Kawasaki deemed good enough to put its name to? Or the side whose name we couldn’t even hear? 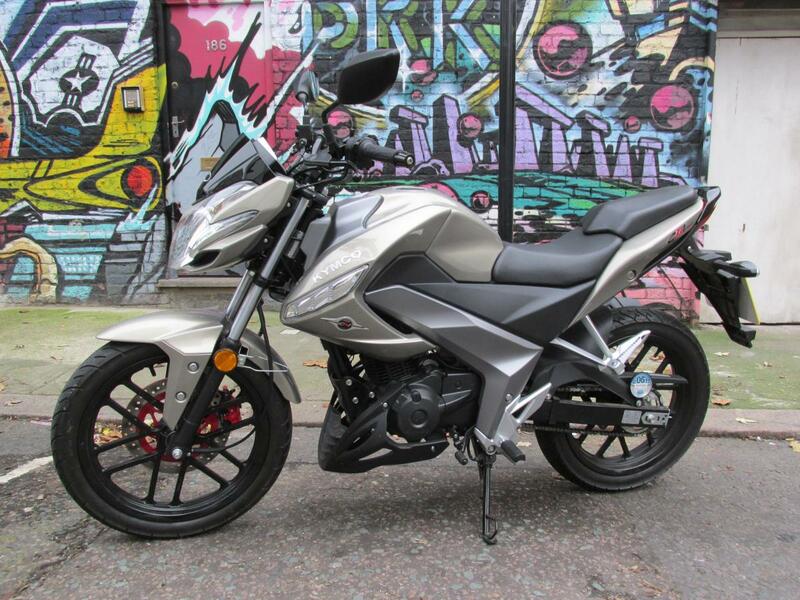 At £2,071, the CK1 125 is £628 cheaper than a 2014 Honda CBF125. There's a new Honda CB125F for 2015 but we don't know the price of that yet. It doesn’t take long to begin building a picture of where some of that money might have been saved. 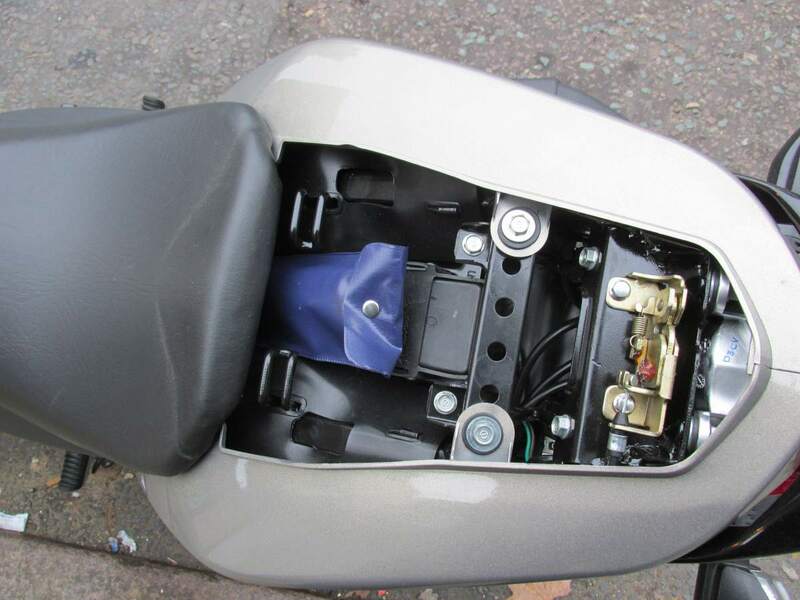 For a start, the Kymco has a carb where the Honda is fuel-injected. 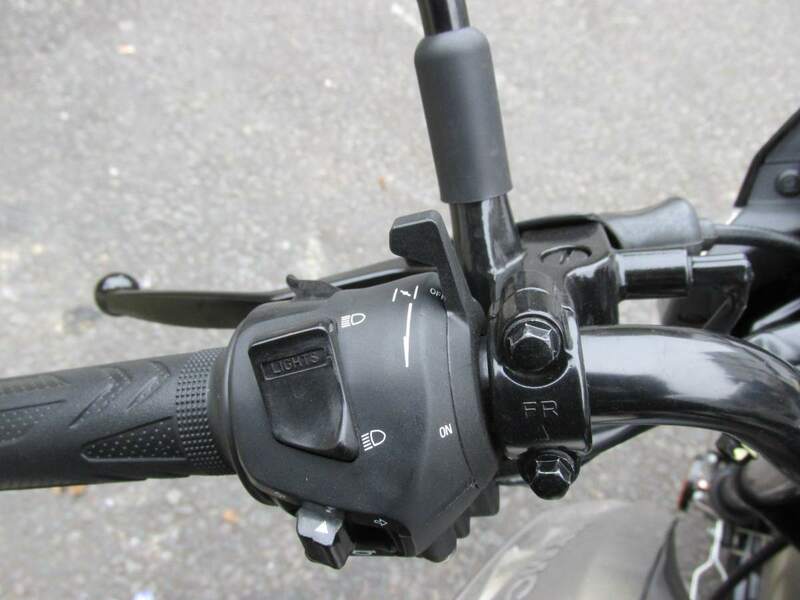 It was so long since I’d seen a new bike with a manual choke that I almost ran the Kymco’s battery flat trying to start it before spotting the choke lever on the left bar. 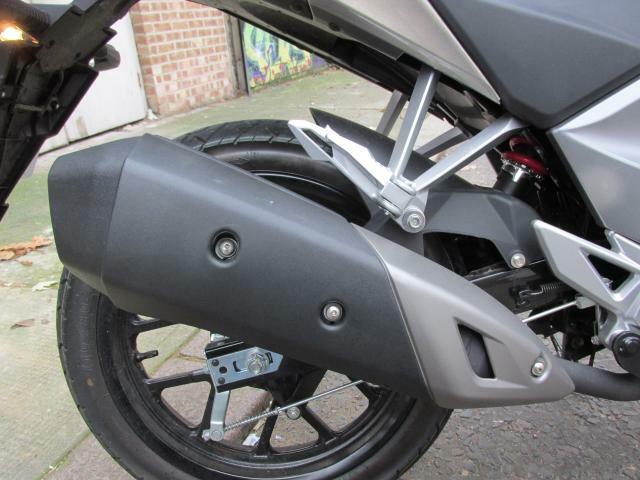 Those large plastic panels which extend from the rider’s pegs to the tank hide a startlingly ugly frame design. 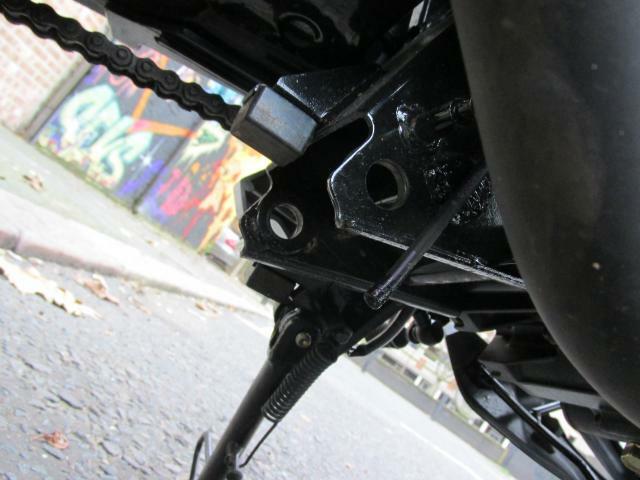 A single vertical frame tube behind the engine meets a large box-shaped section of steel onto which the swing-arm and engine is bolted, the latter acting as a stressed member. I tried removing the panel to get a better look at both the frame and carb but the screwdriver from the CK1’s tool kit started rotating in its own handle before the retaining bolt budged. A vision of the inaudible presentation passed through my mind as I put the tool kit away. Oh well. 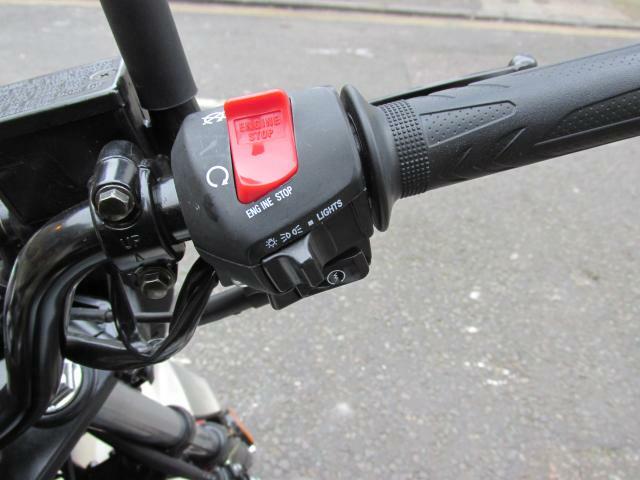 No one’s going to base their decision to buy a £2,000 motorcycle on the quality of a screwdriver. It’s how it rides that matters. The CK1 rides quite well. The suspension is soft but not too soft. It feels right for the potholed city streets it’s meant to tackle. The forks feel a bit softer than the single shock but both ends sail over speed humps and aren't badly damped either. 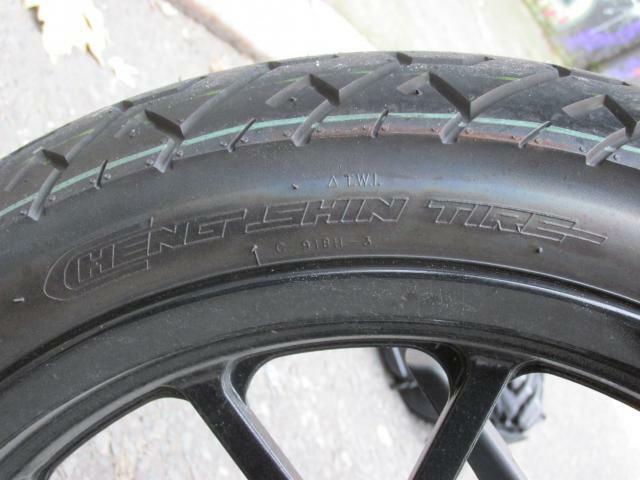 The CK1 isn't as soft and bouncy as a CBF125. The seat’s a bit hard but the riding position’s upright and comfortable, the bars high and wide. 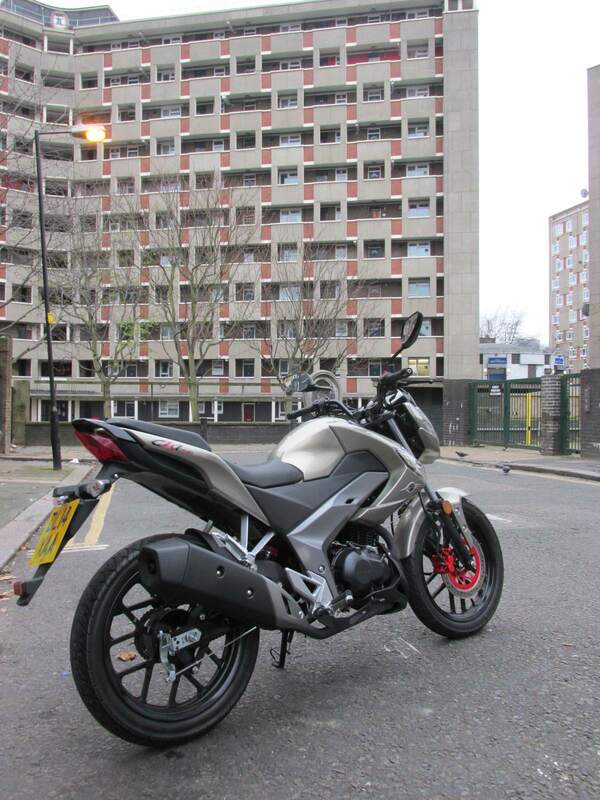 Throwing the CK1 around on city bends and roundabouts feels a bit like riding a 125cc supermoto. 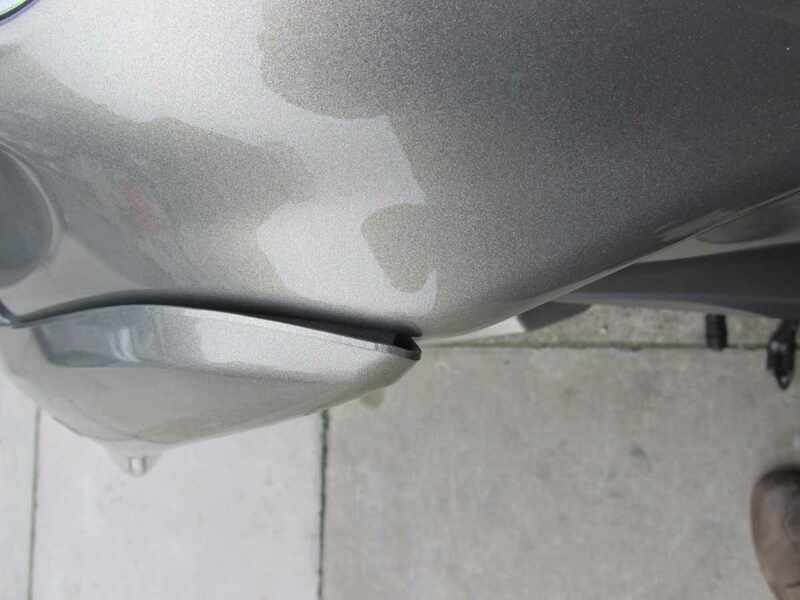 It's adept at weaving through tight gaps in traffic, with one of the most generous steering locks I've encountered. 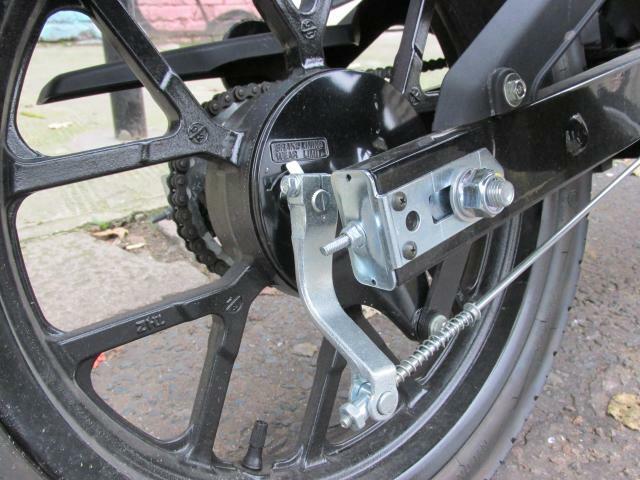 The single front brake disc and twin-piston sliding caliper feel a little wooden but have the power to stop the CK1 quickly given a firm pull of the lever. Two fingers are sufficient so long as they're positioned for good leverage. The gearbox is slightly temperamental. Once or twice it refused to go up from second. Shifting down then up again fixed it. When it got stuck, an illuminated gear indicator on the dash went blank, like an admission it didn’t know what gear it was in. Once it popped into neutral from second. The engine offers some likeable acceleration in first and second gears, just enough to get away from lights ahead of cars. It's quite good fun, bombing about the city and shifting gears to stay in that sweet spot of maximum power. 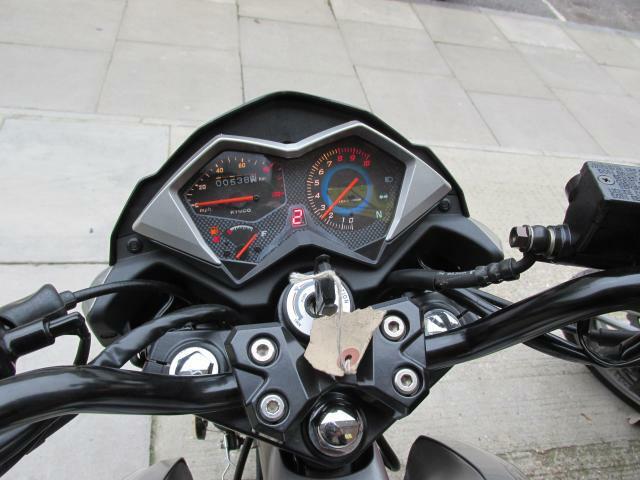 Until the first time you glance at the rev-counter and realise you're also keeping its single-cylinder, air-cooled 125cc engine almost permanently in the red line. Here's the CK1's problem: According to the specifications, maximum power is at 8,000rpm, which is also where the red line is. If anything it feels like peak power is a little higher than that. Change gear when it feels right to, just as you sense power to have crested that peak, and you'll be continuously straying into that red line. 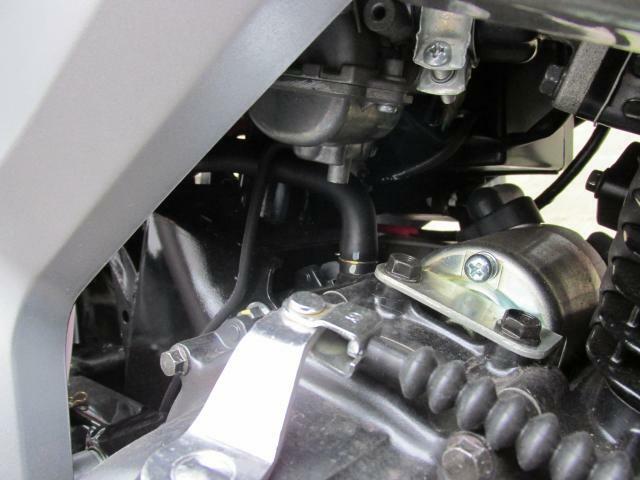 If peak power is too high in the range, so is idle speed. Tickover was inconsistent on the CK1 I tested, ranging from about 2,500 to 3,500rpm depending on how hard I’d been riding. 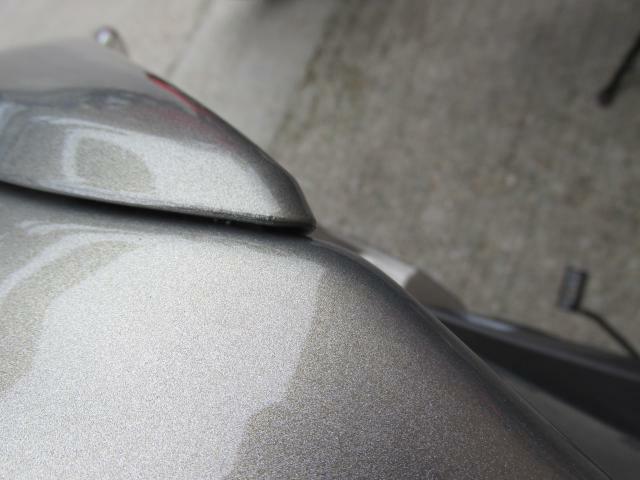 No doubt it’s easily adjusted – if you can remove that panel hiding the carb. Gearing is short, with second taking you to about 30mph. You can get away from lights ahead of traffic but you'll be at about 7,000rpm by the time you’re off the clutch. And then you’ve got to change up. In higher gears, it only really comes to life at about 7,000rpm. If you want to stay under the red line, that gives you a 1,000rpm range to live in. It’s not that the CK1 is peaky. The power builds linearly. There just isn’t that much of it, so you'll want it all. Even when I tried to stay in the white I occasionally strayed into the red. I think almost anyone would find themselves doing the same. It doesn’t feel like you’re stressing the engine by going over 8,000rpm and the fast idle speed only seems an issue because you can see it on the clocks. The whole riding experience might be improved my covering that dial with gaffer tape. Although I’d worry about the longevity of the engine on the motorway if you did that. 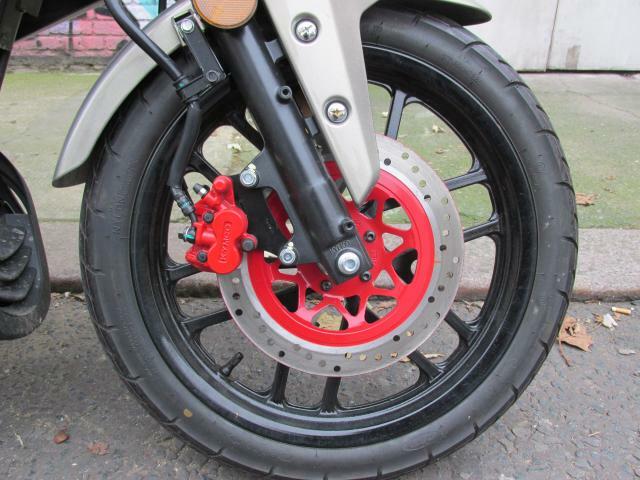 Here the low red line and short gearing becomes a big limitation for the CK1. In the highest of its five gears, 8,000rpm equates to about 52mph. 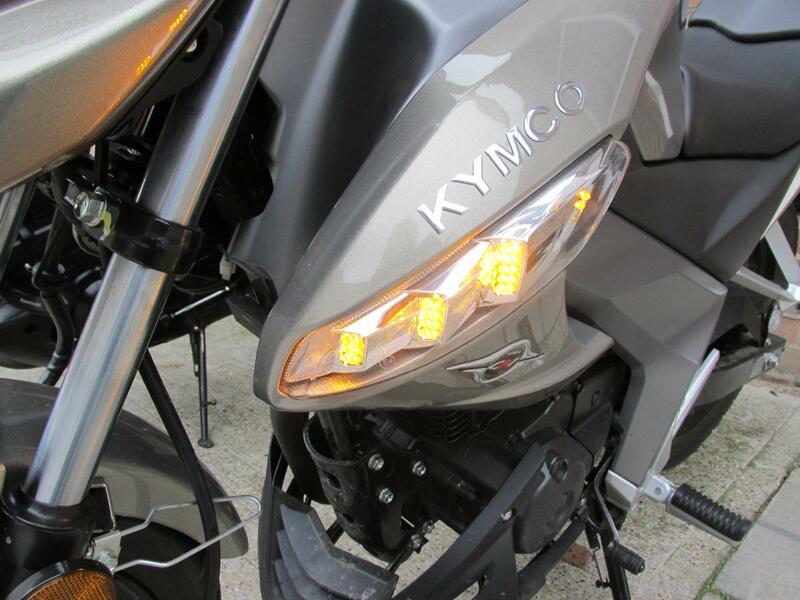 Kymco claims a top speed of 65mph. I just about saw as much on the speedo, slip-streaming a car, but the revs were approaching 10,000rpm, nearly 2,000rpm over the red line. You have to wonder how long that’s going to last. I opted not to find out and backed off after about a mile. When I stopped for some petrol, idle speed was 4,000rpm. 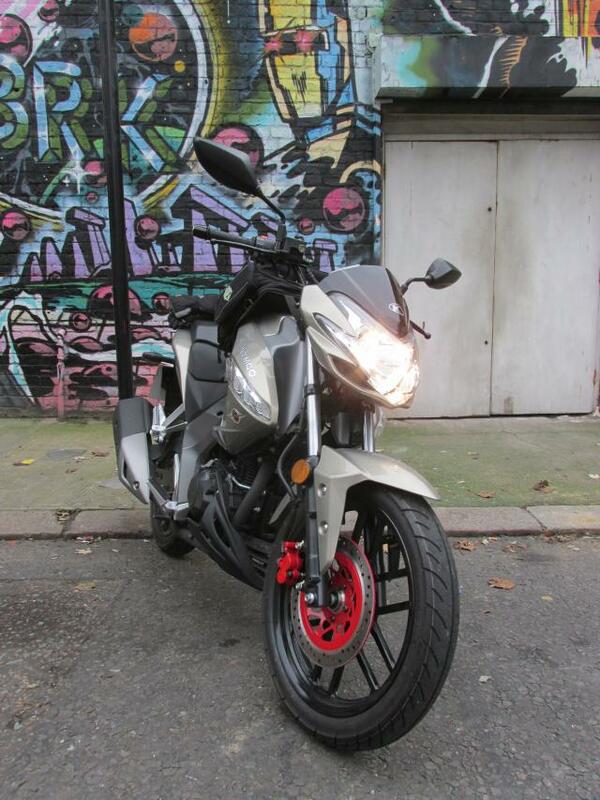 I once spent a month doing a 160-mile daily motorway commute on a Honda CBF125. It was far from ideal but the CBF could do it, usually managing an indicated 65mph, without red-lining in top. The CK1 would not manage it. As a town commuter it has some merit. I had some fun on it thanks to good handling, acceptable brakes and suspension and an engine which feels eager even if the clocks suggest otherwise. Based on my fuel receipts and mileage, I believe Kymco’s claim that it will do ‘well in excess of 100mpg’. But I think its shortcomings next to the CBF125 are greater than justified by the £600 saving. A while ago I tested a Lexmoto XTR S 125, a Chinese machine that looks a bit like a first-generation Honda CBR125. It also had some not-inconsiderable shortcomings but it rode okay and was so cheap I felt happy to overlook them. 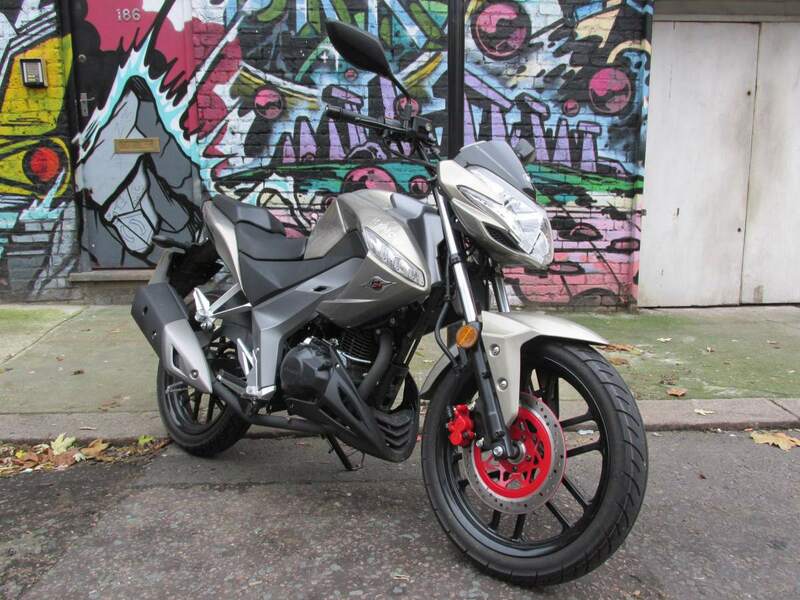 It’s £1,199 plus on-the-road charges. Getting it into neutral was a challenge but it would do 60mph without red-lining. It was even fun. 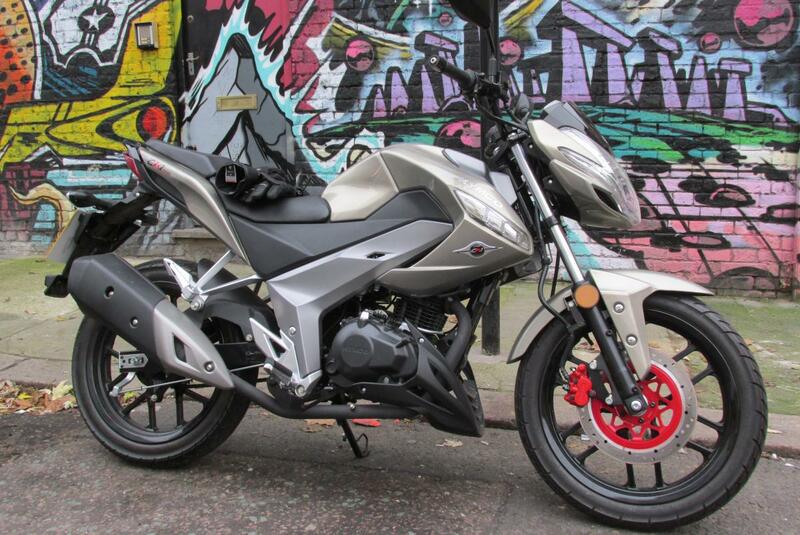 The CK1 was fun too but at £2,071 its limitations are not so easy to forgive. It needs to be better - or cheaper. 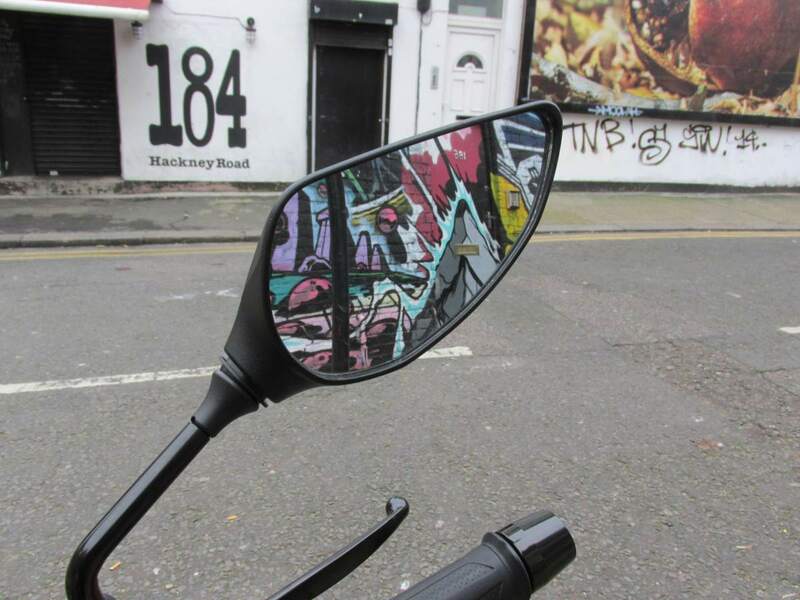 Thanks to Dalston Motorcycles for the test ride.